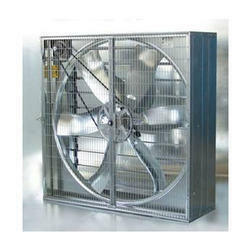 We are among the eminent names in the industry for manufacturing and exporting Green House Ventilation Fan. The offered fan is used for ventilating air in green houses. It is built from high grade raw materials and is checked for the assurance of quality in a well equipped laboratory by our professionals. This fan is robust, highly durable and requires least maintenance. Looking for Green House Ventilation Fan ?